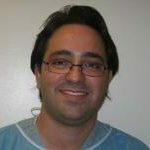 Dr. Daniel Teboul completed his dental degree at the University of Paris in France and his Advanced Periodontics training at the University of Southern California. He held a faculty position as Clinical Assistant Professor, Periodontology Department, at the University of Southern California and is a member of the American Association of Periodontology, the California Society of Periodontology, and Alpha Omega. With care and expertise, Dr. Teboul is dedicated to providing the best possible treatment for your dental needs using scientifically established techniques and materials.